Turmeric. You might not know the name but you probably know the flavor if you like curry. What we call turmeric is actually the dried and ground rhizome (root) of a plant in the same family as ginger (zingiberaceae). It has been used extensively in natural and folk medicine for centuries. It’s also used for its color and flavor in international cuisine. Turmeric root is where we get both turmeric powder and curcumin. It’s often called ‘The Golden Spice’ or ‘The Spice of Life’. Turmeric is cultivated in India (the largest producer, consumer and exporter of turmeric), followed by Bangladesh, China, Thailand, and other Southeast Asian countries. In English, turmeric was called Indian saffron. Sanskrit has over 55 names for turmeric herb. 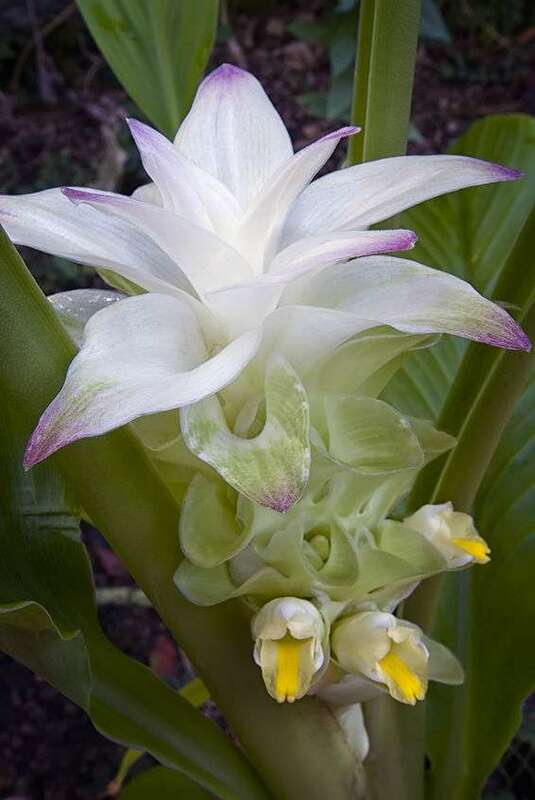 Yellow turmeric (Curcuma longa) roots have a rough, pale brown skin. On the inside, they’re bright orange or yellow. The rhizomes can be used while they are fresh or they can be boiled, then dried in hot ovens in order to be ground into the deep-orange-yellow powder commonly used for color and flavor in many Asian cuisines as well as for dyeing. Turmeric powder has a warm, bitter, black pepper-like flavor. "Experts have dubbed the health-enhancing role of specific foods as “functional foods” i.e., foods that promote better health in addition to providing nutrition. A number of the top trending foods over the last two years are "healthy" ingredients like turmeric, apple cider vinegar, avocado oil, bitter melon, and kefir (high in trendy bacteria called probiotics). They are said to infer benefits like better skin, libido, and energy or cures for depression, insomnia, and pain (in fact, "benefits" is a term that's commonly searched for along with many of these foods). Now, the focus of people's diets is less about eliminating foods than about adding them. Turmeric also contains the chemical curcumin. Curcumin and other chemicals in turmeric have been known to decrease swelling (inflammation). It can be used externally and internally. Turmeric contains minerals like calcium, potassium, phosphorous, sodium, iron, vitamins B and C, and manganese. It's also an excellent source of fiber, potassium, and magnesium. There are several chemical compounds found in turmeric, known as curcuminoids. The active substance in turmeric is curcumin. Turmeric is considered to be a natural anti-inflammatory agent, have powerful antioxidant effects, be able to help keep your liver healthy, help stop the oxidization of cholesterol in your body, provide joint/injury support, and provide support to your immune health. Turmeric does come in supplement form. You can add one to your daily routine in addition to adding turmeric to your diet. Add turmeric to smoothies, juices, soups, salads, or oatmeal; season your roasted vegetables with it; or make a batch of turmeric tea, also known as golden milk.